Citizens Bank of Cape Vincent was established in 1919 as a state charted commercial bank. Citizens Bank of Cape Vincent provides a full line of services including an ATM, all types of loans, checking, savings, certificate of deposits and safe deposit boxes. Internet banking is a consumer electronic banking service. 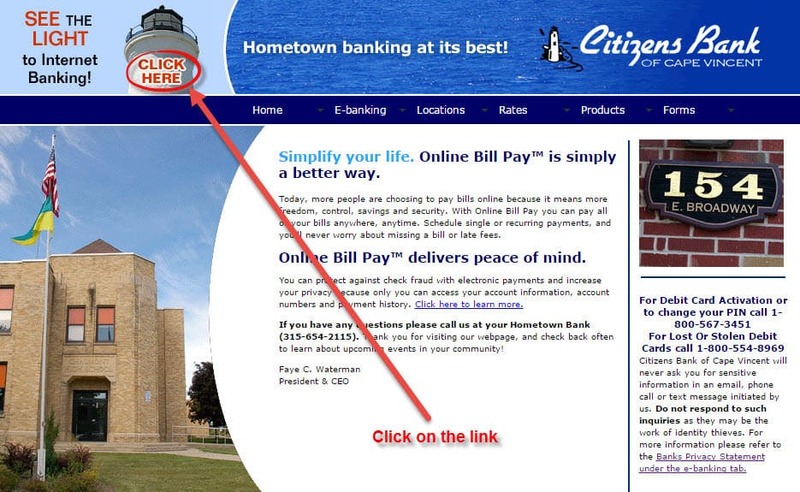 You may access Internet Banking using a personal computer through Citizens Bank of Cape Vincent Website on the Internet. 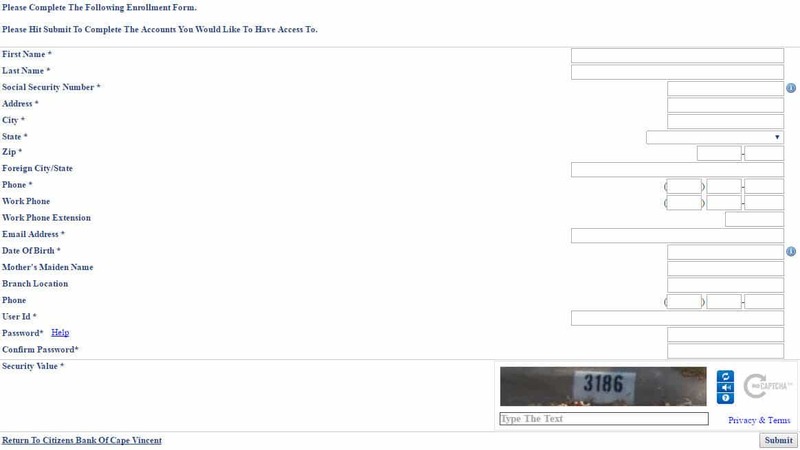 In the next section we will show you how to login, how to enroll and reset your password. 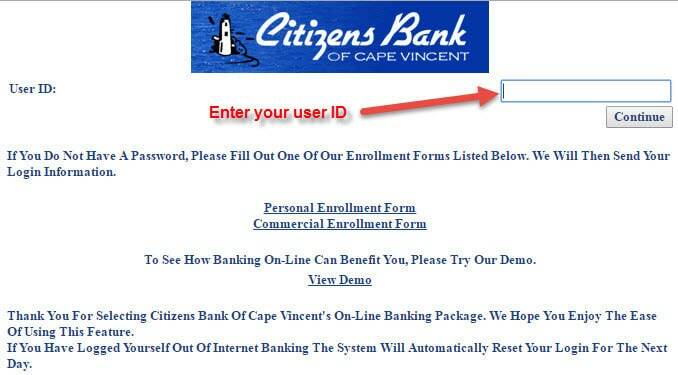 If the answer to the verification question and the password are correct, you will be directed to your Citizens Bank of Cape Vincent online banking account. If you forget your password, fill out enrollment form, Citizens Bank of Cape Vincent will then send your login information. Or simply contact the Citizens Bank of Cape Vincent through their telephone number or by going directly into one of their branches. Signing up is easy and secure. Internet banking uses the highest level of encryption protection available in order to safeguard your account information. follow the steps below to register for internet banking service. If you have any questions about the registration process call 315-654-2115. Citizens Bank of Cape Vincent and other financial institutes are closed on the same holidays.